Pack your bags or shall I say the kids bags as we are heading to South Africa. We are being heavily recruited to go to South Africa and it might happen as early as next summer. More later on that info. Actually writing this to you on Sunday morning as had no access to email last night due to the German-Portugal game. Day started off with no breakfast club as we gave the kids off. Breakfast at 8 am and kids are all eating well now. Left at 9:30 for games at different locations. Boys had a tournament that consisted of 3 games, 15 min halves, versus 2 German teams and the South Africans. The german teams were 90's and the South Africans were 89-90's. We tied our first game 0-0 and played really well for our first game in Europe. 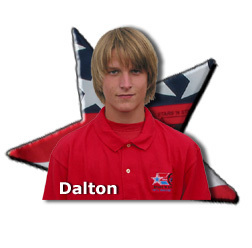 POD for that game was Dalton. Second game was a different story as we lost to the South Africans 4-0 although it was closer than the scoreline. Really timid in the second game, mostly because of the respect we gave the opponents. Dustin was POD for this game. 3rd game we tied 1-1 with Tanner tallying our first goal in Europe on a nice feed from Trevor off a set piece. Tanner rose above the crowd and headed home the cross with authority. Girls were singing our SNS song most of the game as well so it was a nice finish. 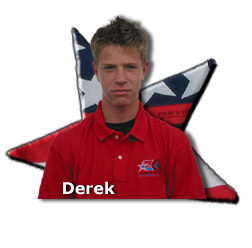 POD for our 3rd game was Derek. We finished 3rd place and were awarded a cup and medals. Turns out that this was a very big event with politicians, mayors, VIPs, etc, all in attendance. Girls had an exhibition game during the event and tied a 91 girls team 0-0 in a pretty good game. They played very well, slower than how we need to play, but a great start for them. We even had our boys sing our SNS song during their game. 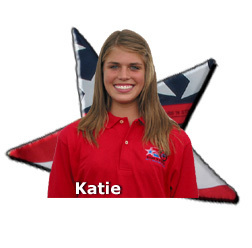 POD for the girls was Katie. It was a day long event with BBQ and sausages and pommes frites (french fries) for the kids. Back on the bus for return and then after dinner we headed next door to watch the German-Portugal game at the slaughter house. What an experience. They don´t make a drink or a drug that can replicate the experience and feelings we witnessed and had last night. Every soccer fan or player needs to witness a World Cup game atmosphere at least once in their lives. Our kids were chanting and singing alongside the Germans and it carried over into the streets while we walked home and hundreds of fans and cars and honking horns and more chants and cheers filled the night sky. We had a ball and our kids are on a cloud that might not touch the ground for some time. And not just the kids as Charles, Anita, Lennart and myself were just as involved in the atmosphere, although none of us adults joined the congo line that went through the slaughter house when the final whistle blew. Ask the kids about that. I did video a lot of the atmosphere so hopefully most of you can get some idea of what is going here. Hard to set curfew and sleep when we returned to the center as you could hear the kids talking about the game and the atmosphere. I am allowing them to sleep in this morning as we moved breakfast back to 9 am. What a guy I am, right? A note to parents, we will allow cell phones to be turned on between 5-7 pm tonight as we will also head to the internet cafe to call-email home. All is well here, no injuries or illness or homesick. Too busy to deal with any of those three and to be honest with you I do not allow any of them, ha, ha.